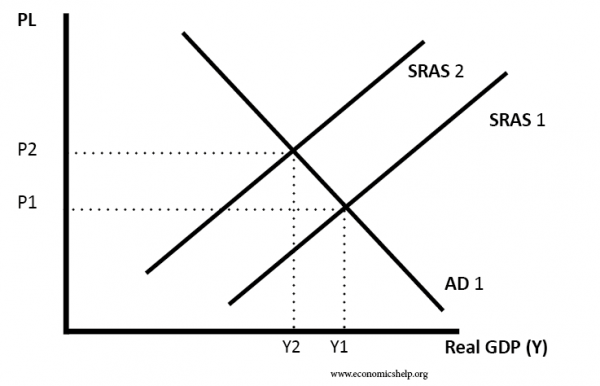 Joakim Book | Life of an Econ Student: What Commodity Would You Pick In a Doomsday Scenario? What Commodity Would You Pick In a Doomsday Scenario? I'm fairly sure that most of my late-night discussions with my flatmate are superior to most university classes (perhaps we should invite people along and start charging for the privilege?). About a week ago, we celebrated several good news with a 3-hour discussion beginning somewhere around governments' ability to ensure stable CPI-inflation, ending in the emergence of one-cell organisms, with many fascinating arguments in between. The most exciting of which is this one: if faced with some doomsday scenario (breakdown of civilisation, Day After Tomorrow or I Am Legend style), what commodity would you want to hold? At first, Máté picked furnaces, but later qualified it to seeds. The rationale for both are similar, albeit slightly different where seeds are more basic, durable, mobile and tradable than furnaces, and I admit that the case for seeds is stronger than that for furnances. There are particularly two arguments here that are good and quite compelling: a capital goods' argument, and supply shock-argument. I will try to faithfully represent both in turn and then show why gold still wins. Furnaces are pure capital goods, using some inputs (wheat, metal etc) to produce some output (bread, weapon, equipment), whereas seeds are inputs into that production (also considered a capital good). Máté, quite correctly I believe, envisions the end-of-the-world a situation of extreme scarcity and "back-to-basics" – we'll have a massive need to produce food and basic tools. That means, owning the means of producing those – the capital goods, in this case a furnace or the seeds – will yield tons of benefits and give you a very marketable good. Trying to survive in this new world will depend largely on our abilitiy to produce food/tools and increase our productive capacities from this state of poverty. The capital goods argument is, in other words, a realisation that increasing productive capacities will be crucial, and furnaces or seeds are some of the key components for that; regardless of what else happens in this society, there will be a need and willingness to trade for food, and so components in the production of food (seeds, furnaces, land) will fetch large market values. The second, and even more persuasive argument, is the supply shock argument. In essense, a doomsday catastrophy is an adverse supply shock of epic proportions. 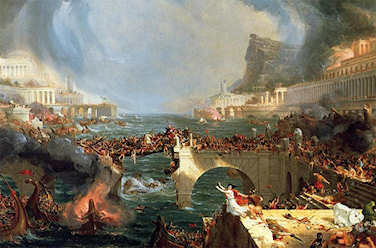 In plain English: end-of-the-world is an extreme version of very commonly-analysed economic scenarios, where our ability to produce things is suddenly drastically reduced (increase of input prices, world wars destroying factories, electricity black-outs meaning we have to do things in different – more expensive – ways). To be consistent, we should do the same in such doomsday scenarios as we would in the more minor supply shock. The first and clearest examples that comes to mind here are the OPEC oil price hikes during the 1970s; oil-producing countries in the Middle East decided to rapidly raise oil prices by about 4x in a few months, causing economic crises around the world when oil (used as inputs in most production) all of a sudden got much more expensive (and there were very few substitutes available). On the benefitting end, the OPEC countries saw their oil revenues increase a lot, drenching them in cash and purchasing power. That is, what you would have wanted in that scenario was to be an owner or producer of oil; sitting on the now-scarce and highly-demanded commodity would massively increase your purchasing power and real wealth. If that's the best position in the minor example of oil supply shocks, the best position in an extreme version of such supply shocks (=Doomsday) would be the same: hold the now-scarce and highly-demanded goods. The best good to hold, then, would be seeds, since the productive capabilities of agriculture would be severely diminished and the demand for bread or basic food would be massive. 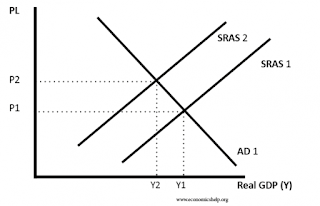 Standard Marshallian cross; the supply shock is illustrated by the supply curve moving from SRAS1 to SRAS2 (Short-Run Aggregate Supply; AD = Aggregate Demand, P = price, Y = output), producing higher prices and lower equilibrium production. This is a good case, how could I ever prefer something as useless as gold? After all, we can't eat gold; we can't sensibly build things out of gold. Instead, the case is one of accepting uncertainty. Gold, on the other hand, will be useful in any indirect exchange. My choice of commodity hence relies on a less strict prediction about the particularities of the Doomsday World; I only have to assume that there will be indirect exchange, and that gold is likely to be the commodity chosen as money (after all, insofar as that unknowable future is anything like the past, this isn't a very strict assumption). Máté's argument relies on what I argue are more strict predictions: food demand/preferences and availability/fertility/quality of land. Now, what qualities do gold have that has so often made it currency? The qualities most often cited by monetary historians are durability, divisibility, recognizability, portability, scarcity (the difficulty of producing more of it), and a value-to-weight ratio that is neither too high nor too low. Too low a ratio would make it hard to carry enough for spending, while too high a ratio would make small transactions difficult and prevent the commodity from being sufficiently widely owned in the prior barter economy. Gold still has these qualities today. a way to exchange good and services easily and efficiently. Gold is the logical choice. If disaster strikes, gold is the metal we will revert to if paper-money, and the system that supports it, no longer exists. It is one of the only substances on earth with the qualities for the job. I, with my gold, will do well if humanity continues its incredible ability to invent goods, methods and production that better meet our needs, since I will be able to trade for those goods with the Money Par Excellence. Máté will only do well insofar as humanity wants to consume that particular commodity and the natural environment is suited to its production/cultivation. Therefore, gold is more general than seeds, and requires for success less strict assumptions about the unknowable circumstances of Doomsday World. In short, the dispute we discussed is one between production and exchange; Máté went straight for the productive capacities without which we won't live for long, and I went for the abilities to trade, an institution following humanity since we begun living together. His case relies on certain crucial assumptions about the structure of production in this new world, and mine only on human ingenuity and ability to create. In a Doomsday World of which we don't know the particulars, we should pick gold over seeds, since it's the most general commodity allowing us to interact with society and trade for the inventions and goods that will sustain us.